If you have watched the free TED Talks online, this is your opportunity to return the favor to the TED family locally. Any way you can help is greatly appreciated. 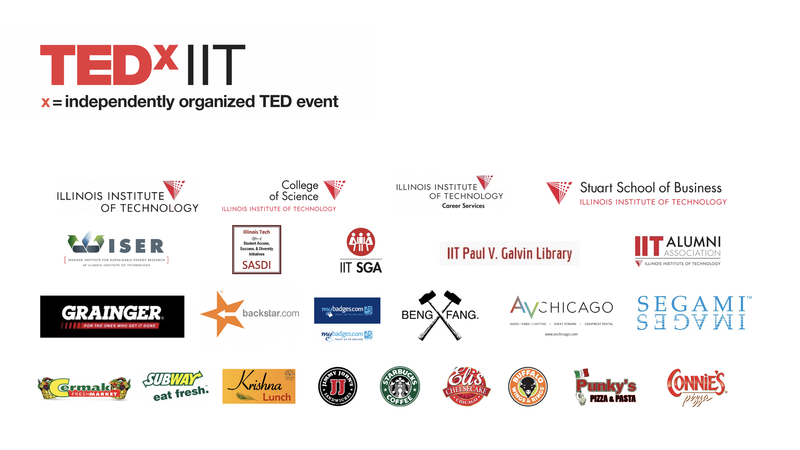 TEDxIIT, an independently organized TED event, is licensed by TED. TEDxIIT does NOT receive any funding from TED. Fundings for TEDxIIT come from sponsorship and/or in kind donations. TEDxIIT has big dreams. Your support makes it possible to keep TEDxIIT going year after year. Download Sponsor Packet info here.